Cleaning windows is something we all must do if we care about living in clean homes. I doubt you are not interested in a clean home if you are reading this sentence right now. Although window cleaning might be the extreme opposite of enjoyable, there are things you can do to make the activity not that bad. That’s the secret we will reveal to you in this blog post. First of all, one thing you could do in order to make window cleaning a bit more pleasurable is change your perspective on things a little bit. We understand that it might be the last thing you would want to do, especially on a nice summer day, but thinking about it in a negative way can definitely influence your productivity. It’s just like when you were in school and had a lot of homework to do. The less you worry about it, the more enjoyable you will think that it is. In the end, who knows, you might even find it relaxing, once you get over the five stages of grief, that is. Second of all, you might need help, especially if you live in a big house. This means that the window cleaning process might end a lot faster if you get your significant other, kids or other roommates you are bunking with to give you a helping hand. This is where you can get creative offering everyone different incentives. You can even make a game or a competition out of it. As long as the windows get clean, there should be no rules to how you get them clean. 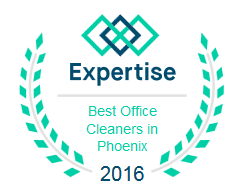 Last, but not least, you should also know that there is an ideal way of cleaning your windows, and that is called Arizona Window Washers. Window cleaning and window washing are no longer a taboo for our company as we have been in this business for years and are able to provide our customers with the highest quality services and the best customer experience possible. We guarantee that you too will be satisfied with the quality of our work and with our low prices. In fact, you should know that Arizona Window Washers is the most affordable window cleaning service in the area. We pride ourselves in having incredibly low rates for residential and commercial customers alike. There is no need for you to waste your time cleaning the windows yourself and there is no need for you to waste all of that energy when we could do the job for you. And, between us speaking, we would do a far better job than you, because we have all the right tools, products and necessary experience. Give us a call today and take advantage of our amazing offers. 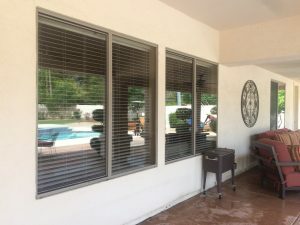 This entry was posted in Window Cleaning and tagged arizona, arizona window cleaning, arizona window washers, cleaning, window, window cleaning. Bookmark the permalink.